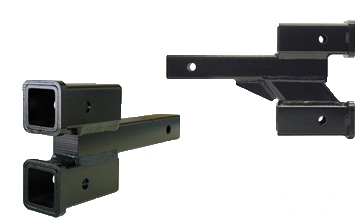 The Roadmaster 4" Drop Dual Hitch Receiver slides into your existing 2" trailer hitch receiver and allows for a second 2" accessory. For example towing your camper and carrying your bikes on the hitch mounted bike rack at the same time. towing your boat and using a cargo carrier to carry your gear.